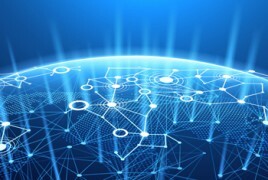 JP Morgan has expanded its blockchain payment platform to more than 75 international banks, in efforts to withstand competition from fintechs and tech firms. The Financial Times says the bank was trying to rally up all the banking participants together to do so. Banks including JP Morgan, Royal Bank of Canada and ANZ have been testing the platform for 11 months now. Analyst Jason Goldberg tells the FT that the Interbank Information Network (IIN) was already seeing progress. The platform has been under development since October 2017 on JP Morgan’s Quorum blockchain. Societe Generale and Santander are some of the banks that have shown interest in joining the platform, which allows banks to share payment information and speed up problematic transactions. The network expects to process around 14,500 US dollar-denominated payments a day. Banks aim to be able to keep up with the emerging private sector dedicated to processing cross-border payments faster than they traditionally can. “Payment is one of the segments banks worry most about in terms of ceding to non-bank competition,” Goldberg adds.